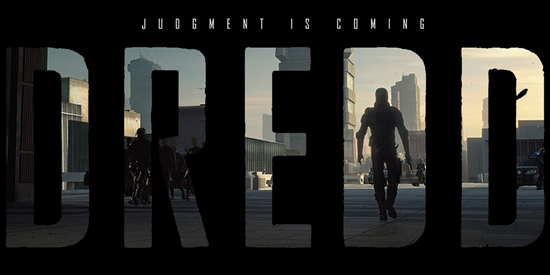 Screenwriter & Producer Alex Garland Reveals His Ideas for 'DREDD 3D' The Trilogy! Dredd 3D is about to hit theaters everywhere & if it ends up a success at the box office a couple of sequels are sure to follow. Today the movies screenwriter & producer Alex Garland gave a Q&A session via the 2000AD Online forum [via Bleeding Cool] where he revealed he already has a full trilogy planned out which involves involves the Cursed Earth, Dark Judges, Chopper & Satanus. For anybody familiar with Dredd's run in 2000AD thats pretty cool. So hit the jump to check out what we can expect in a trilogy. Alex Garland: "If I was involved in a second movie, it would be about origins and subversion, and Chopper would feature. In fact, I think Chopper would start and end the story. Apart from him, my rough plan involves Fargo, Giant, Angel Gang, and a version of Satanus. For a trilogy, add Cal and the Dark Judges. And Anderson would be in all three. But... just to be clear, this is hugely speculative and also unlikely, for any number of reasons... There are some variables which would rule me out [of any sequel] immediately.I think I'd try to make [the Dark Judges] really scary. Not play them for laughs. Just make them totally malevolent and lethal. And use practical effects where possible, except for Fire, which would be an on-set nightmare. The existential side to the Dark Judges is that they don't see a point to life. If my film-trilogy daydream was to play out, I would completely rewrite my original script for the Dark Judges - because it was junk - and start again. If there is a sequel, I'm imagining spending about half the movie in the Cursed Earth, and I would try to come up with some new faces as well as some old ones... I quite like the idea of Satanus. But much more mutated." More details as they happen. I'm reading: Screenwriter & Producer Alex Garland Reveals His Ideas for 'DREDD 3D' The Trilogy!Tweet this!